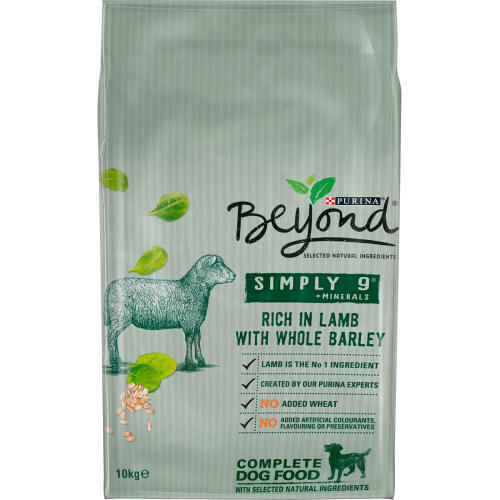 PURINA Beyond Simply 9 Rich in Lamb with Whole Barley is made with nine key ingredients to provide a complete food for your adult dog, working harmoniously to provide a balance of all essential nutrients. With delicious cuts of high quality lamb, Beyond is rich in the necessary protein to maintain lean body mass whilst also helping the immune system to flourish. Beyond is loaded with vital omega oils and fats to give your canine's coat and skin a natural shine, whilst dried vegetables, whole barley and other cereals supply complex, slow burning carbohydrates, keeping your four legged friend's tail wagging all day long! Analytical Constituents: Protein 25.0%, Fat content 15.0%, Omega 6 fatty acid: Linoleic acid 2.0%, Crude ash 7.5%, Crude fibres 3.0%, Additives , Nutritional Additives: , IU/kg: , Vit. A: 21 000, Vit. D3: 680, Vit. E: 110, mg/kg: Ferrous sulphate monohydrate: 220, Calcium iodate anhydrous: 2.8, Cupric sulphate penthaydrate: 44, Manganous sulphate monohydrate: 105, Zinc sulphate monohydrate: 370, Sodium selenite: 0.26. With antioxidants. This dog food is different to others. 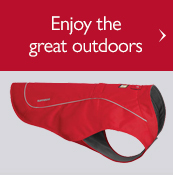 Even the packaging is nice and although I didn't try it my dog certainly enjoyed it. I will be trying one of the other flavours next time as they also look very appealing. 5/5! 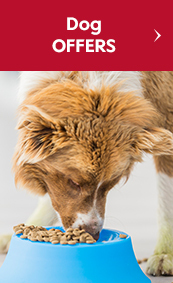 It's not often that a pet food product comes out that is healthy , good quality and looks/smells great. 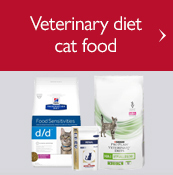 Purina Beyond ticks all those boxes! Judging by the way our two dogs lick their bowls clean at meal times, it must taste delicious too! My dog is really fussy when it comes to her food and normally isn't a fan of dry mix. This was a real winner and left me completely shocked as she demolished the whole bag within a few days. Finally a dry mix we can use for our fussy eater. My dogs usually have Wagg, if I ever change their dry food they usually take a while to even try the new food. With this purina dog food there was no issues at all with eating, the boys demolished it in no time. So must taste good and it gets their approval. My dog loves this, she can't wait for me to put it down for her. Kibbles are just the right size, so she doesn't struggle with them & can chew easily. At meal times our dog Ruby would always leave some of her food in her bowl, but with The Purina dog food she would eat all of it. When the Purina run out we finished up her normal dog food we had left over and she went back to leaving some in her bowl. 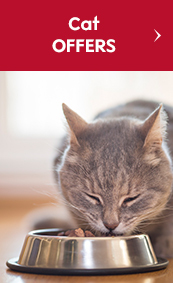 Which suggests, she prefers The Purina over her normal brand of dog food. When again we started feeding Ruby with Purina, again, there was never any food left in her bowl. My Dog Fred really enjoyed this product, he ate it all every day and seemed to have more energy and give more love to me too! This has been the most excited I've seen my dog for food in a long time. We like to try different healthy dry dog foods and she usually isn't too fussed by the food we put out for her. She actively dug under the other dog food we mixed on top of this stuff. Would definitely recommend it. First time trying this product and as I was opening the bag one of my dogs was nearby so I held out some for her to smell. Normally when it comes to dried food she will turn her nose up unless it's in her bowl as she suspects anything from your hand to be a treat however on this occasion she wolfed it down and was giving me puppy dog eyes asking for more! My 2kg dog has tiny teeth and struggles to bite through a lot of kibble. The purina beyond kibble is thin and she can actually chew through it. She is really enjoying it which was a surprise as she doesn't normally like dry food. Dog loved this food. I like the idea that its healthy and good for him. Winner all round. My dogs are fussy when it comes to there dried food,often leaving it until they are really hungry,but not with this food,they positively Wolfed it down! It's reassuring to know that my dogs are getting all the nutrients they need as well with top quality ingredients. 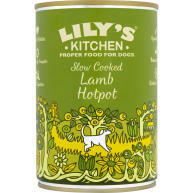 My dog Bertie adores this food , He will literally beg for a second bowl . This is healthy dog food that absolutely works . You can tell but the noise that this is crunchier than most dry dog food and you can tell how quickly he consumes it that it tastes amazing . The only problem is he demands a second bowl and sits by his empty bowl waiting . This is my dogs favourite out of all the dried foods she has had. She eats it all straight away and licks the bowl clean! Lamb must be her favourite and the pieces are all equal sized triangles. 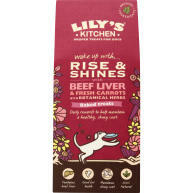 They are also all the same colour unlike some of the other dried dog foods we have tried. My only criticism is that the bag it comes in isn't very strong. Mine arrived with a big tear in the front of the bag but I always decant the food into an airtight plastic container so it wasn't a major issue. Great packaging design- made it seem like it was a healthier product for my dog and was made using more natural ingredients. 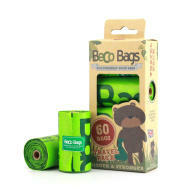 Also a sturdy bag, so will last well. I have a bichon frise and he is quite picky about the food that he eats. He is not one of these dogs that scoffs anything you put in front of him! Luckily, he enjoyed this one and ate it as a snack in between pouches of wet dog food. The product itself also seemed really crunchy, which I think my dog enjoyed, and it didn't have an overpowering smell, like some dog foods. Overall, I would be willing to buy this again. Easy to carry packaging,our Border Collie loved it was looking for more and that's not like her but our Chihuahua wouldn't touch it .Nice size morsels suitable for all dogs and a great healthy list of ingredients Lamb being the main one. This food has gone down really well, which is unusual from such a fussy dog. He loved it so much we have repurchased some more. Great dry dog food , my Blaze is very picky and hates dry food ,the Keebles can be found all over my house as he puts the in his mouth and picks through the bits he ,likes and everything else gets left,so it was great he got the chance to try this food via #theInsidersuk#. Liked using this as it was nice not have my kitchen swarming in the kitchen grazing on his wet food.I was pleased to offer this to Blaze and liked the fact there was no added colours and flavours etc.It also seemed to fill Blaze up more than the wet food that I usually give him,I just had to make sure there was plenty of fresh drinking water available.I would recommend this thanks #PurinaBeyond. My dog Brooke has been taste testing the Beyond food #freebie for Insiders and has been more than fussy over the years with certain foods. This has been a real hit and she finishes her kibble every time leaving the bowl licked clean. I am more than happy as I know the key ingredient is lamb and has all natural ingredients. My 11 year old dog is getting fussy in her old age and turns her nose up at dry food generally. The first time I presented her with this, she did just that; Sniffed and walked away. As I had no other food in, I put some out again for her breakfast the following day. She munched her way through it happily. Thought it was down to her being really hungry having not eaten the day before, but I fed it to her nearly every meal last week and she seemed to enjoy it. Twice I mixed it with "wet food" but most days she seemed happy with it dry. My dog loves this so much that when I tried to combine it with her old food she picked the old food out and left it behind! 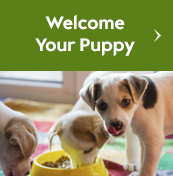 Appealing to my fussy dogs! I was sent a bag of this free from The Insiders to try on my dogs and I'm pleasantly surprised. As soon as they delivery packaging was removed the dogs were keen to sniff the bag. Tried both dogs on the food dry and mixed in with their current wet food. One dog ate both options where as the other dog actually preferred the purina beyond on it's own and left the wet food. The purina smelt like actual food smells rather than the horrible dog food smell most give off and happy to report no upset tums from the dogs so agreed with their digestion. 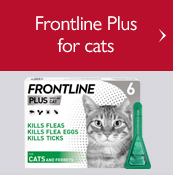 Would be great to try them on the other flavours as at this time of year it's not very nice leaving wet food out for them in the warm weather so to be able to switch completely to dry would be great and cost effective too! 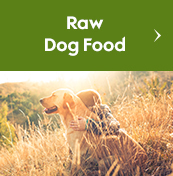 Good quality product that my Husky enjoys; a little expensive, particularly for the size of dog but I know that it is healthy for him and isn't jammed packed with additives. My dog isn't a big fan of dry dog food, and I usually have to mix it with some dog meat before he takes any interest in it. With Purina Beyond, he went straight for the bowl, and finished the lot without the need of any dog meat! We have been using it for two weeks now, and no sign of him going off it. Very happy owner and doggy! Max loves his food but went off of dry food for a while. 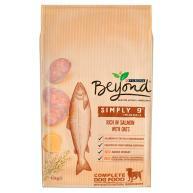 I've introduced purina beyond lamb flavour and it's an instant hit. Bowl empty every time. Very happy to have found this food. My girl is enjoying the Purina lamb and barley simply 9 dog food as provided by the insiders for her.She's a 11 year old Staffordshire bull terrier who can be a bit fussy but she seems to be really liking this dog food. No averse results with her stools and the ingredients are healthy and good for her.Defiantly recommend these products. My dog really enjoyed this dog food. He loved the lamb flavour. 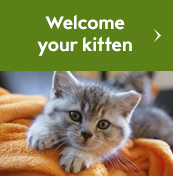 I am happy as an owner as it gives him all the nutrients he needs to be healthy and happy. The ingredients are all natural and recognisable.